We offer the best in epoxy garage floors and epoxy commercial flooring. We specialize in floor coatings for Garages, Basements, Patios, and Commercial/Industrial Flooring. Your epoxy flooring will be beautiful, installed quickly, durable and guaranteed to last! 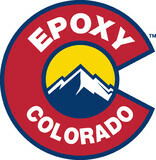 Turn your boring garage floor into a spectacular Garage Floor with Epoxy Colorado (Powered By Seal Colorado, Inc.). We are accredited with the Better Business Bureau and believe that quality, value, and excellent customer service are what our clients deserve. Diehl Concrete, a family owned and run concrete installation company, strives to provide you with the most high quality, realistic, durable and timeless finishes to match your decor and style. Incorporating decorative appeal with structural integrity, we can create a result that will last forever. 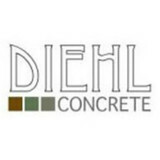 At Diehl Concrete, our goal is to provide you with the best concrete finish possible at the best price. Our experience includes all types of Concrete Construction, Decorative Concrete, Stamped Concrete, Concrete Driveways, Walkways, and Patios. Give us a call and we will make your project our top priority and assist you along every step of the process while educating you on how we do things right and for the long term. 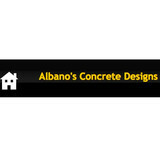 Albano's Concrete Restoration, your expert concrete restoration partner. Our exceptional customer service makes us stand out above our competition. Our focus is a perfect product and a happy customer. Why spend thousands of dollars ripping out concrete when we can give it a brand new look. We make this experience comfortable, fast and easy. Get ready for a whole new contractor experience. Also, we provide unique concrete repair services for the commercial and residential markets. With certainty, we guarantee the highest quality of work. You will be thoroughly satisfied with the utmost of professionalism and attention to detail. We are always on time, on spec, and on budget. Our mission is to restore and build brick/block/stucco structures by using modern tuck-pointing techniques. The art of masonry and bricklaying reveals with our long time experience of over 15 years. In these years we have learned from our successes as well as mistakes and are proud to deliver high quality home improvement services to our Colorado residents. Eric's apprenticeship in masonry took place years ago with his father and has evolved from a skilled trade to yet another creative outlet. This allows his artistic expression to shine as he places each individual stone in an interlocking embrace. Working with his hands - whether picking banjo, pruning vines, digging earth, shaping wood, or chiseling stone - has been at the heart of all his life's joy-filled pursuits. He considers the interplay with stone a dance of sorts that requires a clear vision with an ability to lead along with a great sensitivity and a willingness to flow (yes, flow!) with each stone and its unique characteristics. Clients love his skilled artistry, but just as much they appreciate his devotion and spirit. As a client you will feel heard and you will have the comfort of trusting your project is in competent, professional hands. Rooted Craftsmen is a team of professionals that care about job details and clients. With our knowledgeable team, we make it easy to bring out your creative ideas and deliver exceptional craftsmanship! We are Building the most beautiful projects across Colorado. Rooted Craftsmen is excited to start working on your dreams! Feel free to contact one of our professionals. Colorado Curbscapes Inc. is the primary resource for all consumer and commercial concrete needs across the state of Colorado. We specialize in standard concrete pouring to the most elaborate concrete stamping and custom projects in both indoor and outdoor spaces. We guarantee the highest quality finished product at the best price. Colorado Curbscapes Inc. is fully licensed and insured serving the entire state of Colorado with national expansion in progress. Colorado Curbscapes Inc. specializes in creating unique decorative concrete spaces including: backsplashes, bar tops, basements, bathrooms, concrete landscaping (and edging), countertops, details (and reseals), driveways, entryways, garage floors, heated driveways, fire pits, foyers, lobbies, micro-toppings (and overlays), patios, table tops, walkways, and more! Landmark Stone International, (LSI) is a natural stone supplier specializing in providing high quality products of domestic and imported origin. LSI is the first and only North American distributor to provide a global portfolio of “GREEN” and “Recycled Natural Stone Products”. LSI is both a manufacturer and an importer – supplier of paving, wall veneer, tile and specialty landscape and aggregate products. Our international team is highly experienced and knowledgeable in the use of natural stone for building, landscape and paving applications. LSI is both unique and unparalleled in the market with a commitment to offer the highest level of product quality and service. 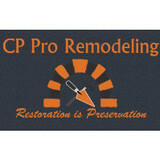 We are Colorado's premier surface professionals. Whether it comes to epoxy flooring, coating, concrete overlays, stamping, and/or staining, let Ikonic Epoxy and Surfaces help turn your house into your dream home! We also provide a multitude of new construction and renovation services, specializing in countertops, driveways, sidewalks, patios, garages, pool decks, and landscape features. We have the tools, knowledge, creativity, and the desire to bring your vision to the forefront of your project completion. We look forward to working with you! Villa Masonry LLC is a family owned and operated business. I am a 3rd generation mason with 16 years experience. My father which is also my partner has over 28 yrs experience in the field. We take pride in our old approach, and the fact that we pay such close attention to detail in each project we. We offer the highest quality of work, and the materials we use are always reasonably priced. Our business is fully insured, and we are backed with plenty of references from satisfied customers. TKSL Construction is pleased to be partnering with Houzz to offer our full service concrete work for both home and business. Specializing in driveways and patios, we will also do any concrete work you need done. We value building great relationships with our clients and are known for our great work, our excellent clean up, and that we honor our warranties. Please call for a free estimate, and as Golden, Colorado natives, we look forward to working with you on all your concrete needs! As second and third generation brick/stone masons, we specialize in the restoration and new construction of everything stone and brick. We are highly experienced in custom brick and stone in interior and exterior applications, patios and veneer, fireplaces, retaining walls, Masonry bread / pizza ovens, custom driveway entries, cultured stone installations, stone setting, fabrication including bullnosing on some types of rock, restoration, tuck pointing, landscape masonry, water fountains, water features and more. We work up and down the front range from Fort Collins to Denver with most of our masonry projects happening in the Boulder, CO area. We take immense pride in our finish product. Call or email today to schedule an estimate. Estimates are free in most cases. Your Imagination Inspires Our Creation! From installing new exterior columns to repairing your chimney, masonry contractors can help you add both visual appeal and value to your property. They’ll know what kind of installation makes the most sense for your Commerce City, CO climate and regional style. Looking for something that will develop a patina with time? Or would you rather have your home feel brand new for years to come? Choosing the right kind of stone involves thinking about the future, too. Experienced brick suppliers and stone suppliers can help you find the material that will work for your home now and for years to come. These professionals aren’t limited to exterior work either. Whether you want a split-stone granite wall in the kitchen or need help installing traditional brick masonry on your fireplace facade, you’ll want a professional to get it right. If you’re already working with an architect or designer, he or she may be able to suggest a good Commerce City, CO subcontractor to help out. Here are some related professionals and vendors to complement the work of stone, pavers & concrete: Landscape Architects & Landscape Designers, Architects & Building Designers, Garden & Landscape Supplies, Driveways & Paving, Siding & Exteriors. Find stone, paver and concrete professionals on Houzz. Search the Houzz Professionals section for Commerce City, CO stone, paver and concrete professionals. Browse photos and read reviews, and contact a pro if you like their work.